Today we’re joined by Michael Coe of Gamelyn Games. Michael is here to chat with us about the latest in the hugely successful Tiny Epic Series: Tiny Epic Western (TEW), which is on Kickstarter right now! Thanks for joining us today Michael! TEW is (like its predecessors) a Kickstarter knockout! 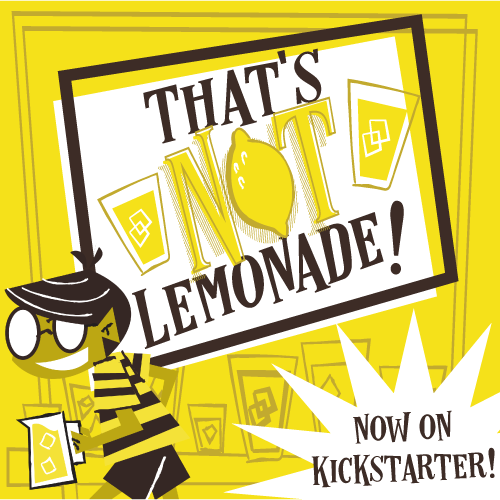 To what do you attribute your success on Kickstarter, and what has surprised you most over the past few years? I attribute it to a lot of small victories: the projects and games before Tiny Epic, the lessons learned, the trust earned, and above all else, the solid gameplay of the Tiny Epic series. We’ve always offered a free print-and-play version of our TE games prior to their launch on Kickstarter. Tiny Epic Western was downloaded 2,000 times prior to its KS launch. I know that has helped us tremendously. We’ve previewed TEW here on the TOG. What are your most-anticipated upgrades once you get full retail or even deluxe versions out to backers? The bullet dice are stealing the show with Tiny Epic Western, but the cowboy meeples, screen-printed bits, and legit poker chips all deserve their time in the spotlight as well. I mean to say the final product is going to our best work yet! Okay. So really. How many more Tiny Epic games can there be? Really? At least one for each letter of the alphabet, right? TEK, TED, TEG, TEW… we have a long way to go still! Do you now? You think that’d be super cool? Would you show up on day one and help spread the word?? I may need to hold you to your answers sooner than you think. What are some non-Tiny Epic games you’ve played recently that you’ve loved? I love Spyfall! I also really enjoyed Armadora too. But, the reality is I play Tiny Epic almost exclusively for tabletop games. It takes a lot of plays to become one with a game. This isn't a gaming question, but: What's the most important thing? Food you would eliminate from the face of the earth, if possible? Who’s winning the Super Bowl this year? Thanks for answering our goofy questions, Michael! And thank YOU for reading. Check out Tiny Epic Western on Kickstarter!